A Supreme Court Bench comprising of Justice H.L.Dattu, Justice P.C. Ghose and Justice S.A. Bobde has reportedly directed CBI Chief Ranjit Sinha to submit all documents relating to the alleged attempts to seek a reopening of the 2G Spectrum scam case, which is nearing completion now. The Bench rapped CBI for jolting out of the probe supervising officer, DIG Santosh Rastogi, from the 2G spectrum scam case and directed CBI’s special counsel K.K. Venugopal to ask CBI to “rectify the mistake immediately”. CBI had reasoned that the charge sheet against Swan-Reliance Telecom (ADAG) needed to be revised. Advocate Prashant Bhushan had submitted that the CBI director had recently written a note "saying he wanted the entire case to be reopened" as the charge sheet against Reliance Telecom was based on wrong premises. This was an attempt to "undermine" the trial, he contended. Bhushan added, "The CBI director now says that the date should not be the date of application but the date of award of licence because Swan had by then divested its share," bringing it to the notice of the Court that the then special public prosecutor, senior advocate U.U. Lalit, had admonished the CBI for the note. He elaborated: "This note was sent to Lalit. He has apparently written a three-page strong letter terming this is totally absurd. He has asked who has given this instruction to do this. The note proposed requesting the trial court to stop the trial proceedings…. After Lalit's strong intervention, the move was stalled. But now that Lalit is out of the case (as he is likely to take oath as Supreme Court judge soon), another note has been moved by the CBI director for stoppage of trial. This is a serious issue. The court may call for the files, peruse the notings of investigating officers as also Lalit's letter. This prima facie appears to be serious and an attempt to undermine the trial." CBI Chief in response reportedly stated that the charges leveled by Prashant Bhushan were based on media reports and the agency would submit all relevant documents to the court. “We’ve nothing to hide. The charges are based on media reports and I deny them,” he said. The CBI chief also said that Rastogi was transferred, but was still very much part of the team. “He was never relieved,” Sinha said. The CBI had earlier probed the deal involving Tata Realty as it was alleged that Unitech was a front of the Tata Company and the transaction was aimed at funding its bidding for the telecom licence. The agency later told a Parliamentary panel that there was no irregularity in the transaction. It has, however, said that in the light of some new information it has received, a fresh enquiry is to be initiated in the case, a report in the Business Standard has said. It was also brought to fore that Venugopal, who had agreed to represent CBI on the request of the Bench, was not kept updated by the CBI director while taking such crucial decisions relating to the case. Venugopal said he had no instructions, both on the alleged note as well as the shunting out of Rastogi. 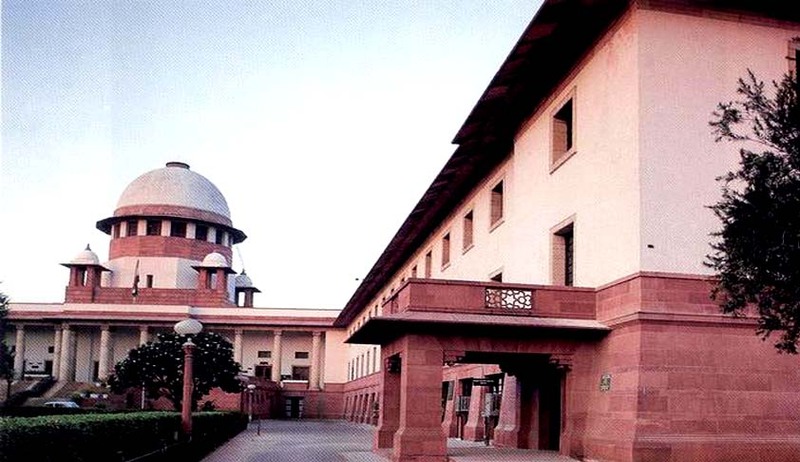 The Supreme Court started monitoring 2G Case pursuant to a Special Leave Petition filed in the year 2010 by Central for Public Interest Litigation. The SLP was filed against dismissal of its prayer by High Court of Delhi for Court monitoring of CBI and ED investigation into 2G spectrum scam. The Court during the hearing of the case had asked the CBI to file a status report on the application. The 2G spectrum scam involved illegal undercharging of frequency allocation licences, giving out 122 new second-generation (2G) Unified Access Service (UAS) licences to telecom companies in 2008, at a price arrived at in 2001 and on a “first-come-first-serve” basis. The shortfall between the money collected and the money which the law mandated to be collected is estimated to be Rs.1,76,645 crore, as valued by the Comptroller and Auditor General of India based on 3G and BWA spectrum auction prices in 2010. The TIME magazine lists it as the 2nd Worst Abuse of Power right next to the Watergate Scam of the United States. Earlier in May, Prashant Bhushan had filed a fresh application in the Supreme Court, seeking an investigation against TATAs, Karunanidhi family and an IPS Officer. Read the Live Law story here. The Bench urged Venugopal to obtain all relevant records relating to Bhushan's allegation, posting the matter for further hearing on September 2. By then, SC asked Venugopal to suggest a panel of three names to be appointed as Special Public Prosecutor to succeed Lalit as he is due to be appointed an SC judge. The team assisting Lalit would, however, continue to assist in the trial. Read more news about the scam here.